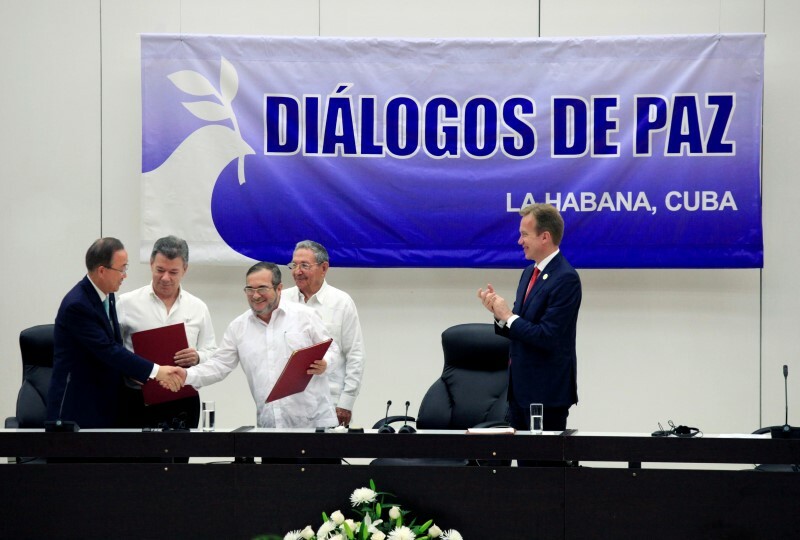 HAVANA/BOGOTA (Reuters) – Colombia’s government and leftist FARC rebels signed a historic ceasefire deal on June 23, that brought them tantalisingly close to ending the longest running conflict in the Americas. The FARC, or Revolutionary Armed Forces of Colombia, was one of many 20th century Latin American guerrilla movements inspired by Marxist ideology and the success of the 1959 Cuban revolution. Its conflict began an as a peasant revolt before exploding into a war that killed at least 220,000 and displaced millions. “This is a beacon of hope, our children will be able to enjoy what we could not – a childhood of peace and a life in peace,” said Adriana Beltrán, a 25-year-old housewife in Bogota. Both sides commit to democratic values and agree not to use weapons for political ends. The ceasefire will be effective once a final peace deal is signed. The government and FARC will establish 23 transition zones and eight camps where rebels will demobilize and begin the process of returning to civilian life. 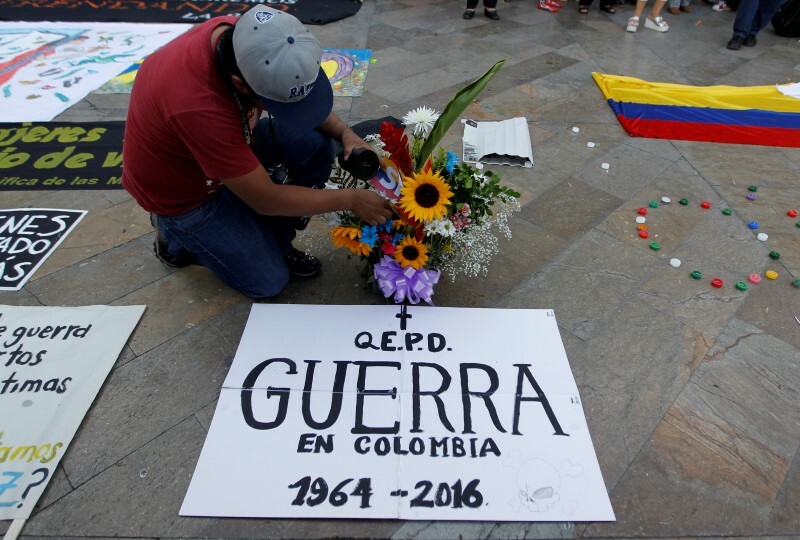 Teams led by the United Nations, including government and FARC representatives, will monitor the demobilization. Police and other armed officials will only be allowed into the transition zones in coordination with the monitoring teams. No civilians are allowed into the FARC camps. FARC rebels must hand over their weapons to United Nations officials within 180 days of the signing of the final deal. The weapons will be stored in secure containers monitored by the U.N. before being broken down and used for the construction of three memorial monuments. The government will guarantee the safety of ex-rebels and their political allies, who have historically been targets for right-wing paramilitary groups. A special investigation unit will be created within the prosecutors’ office to focus on rooting out criminal gangs born out of right-wing paramilitary groups. This unit will have its own elite police force. Special protection units, comprised of both ex-rebels and security forces, will guard FARC politicians and other community leaders. 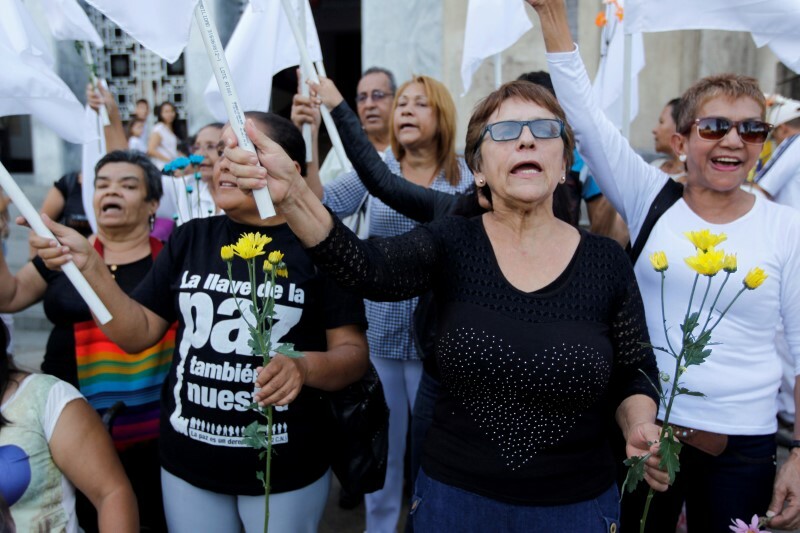 During talks on the ceasefire deal, the FARC accepted putting a final deal to a plebiscite, a promise made by President Juan Manual Santos that had been a key sticking point. 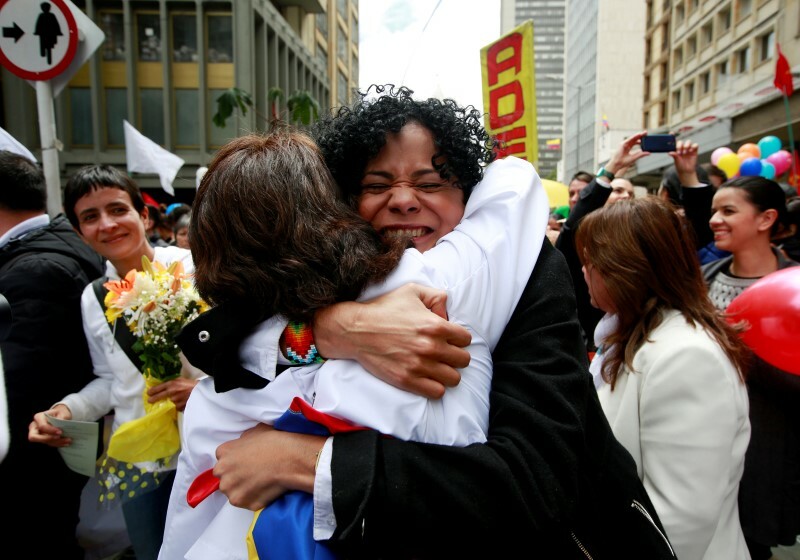 The FARC accepted the referendum on the condition it is sanctioned by Colombia’s Constitutional Court.